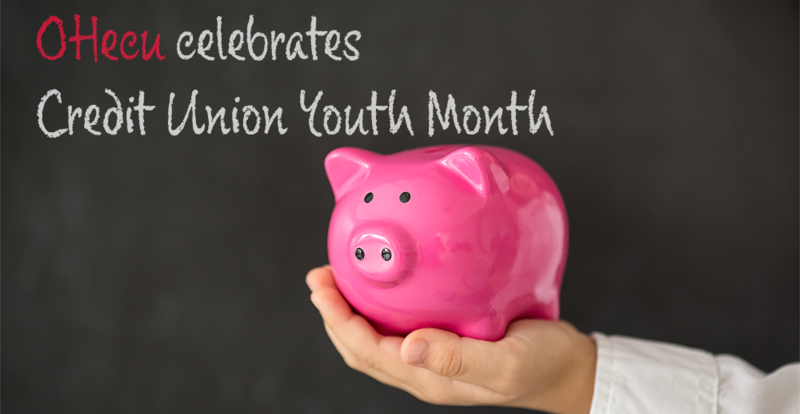 April is National Credit Union Youth Month and OHecu is here to help direct our young members on a path to building their financial futures. Explore our Youth Services page for helpful tips and tools on how to get your child on an early path to a successful financial future. Also stop by one of our branches for fun giveaways* for our young members as we celebrate national Credit Union Youth Month!